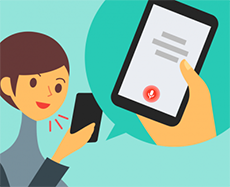 Speak to "VoiceTra" and translate your spoken words into different languages. Simple and easy to use. Help messages will also assist you on how to use the app. 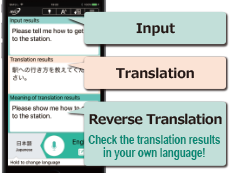 The translation results are translated back into your own language and will be displayed at the bottom as “Reverse translation”. This allows you to check whether what you have input is being delivered with the intended meaning. For non-OS-standard languages, fonts and keyboards must be installed separately. VoiceTra is a free app. 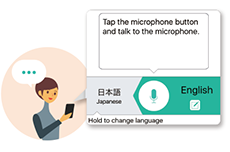 You can enjoy communicating with people around the world. 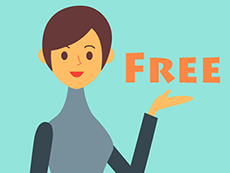 *Data communication via the Internet is required to use the app and users are responsible for the fees incurred. Copyright© 2015 National Institute of Information and Communications Technology. All Rights Reserved.